The Orioles and agent Scott Boras discussed impending free agents Matt Wieters and Pedro Alvarez in a meeting last week, but no progress was made toward extensions for either, according to Nick Cafardo of the Boston Globe. As a result, Wieters and Alvarez look likely to depart Baltimore at season’s end. Wieters, the Orioles’ top catcher since 2009, accepted a qualifying offer from the club for $15.7MM a year ago, but they probably won’t tender him for $16.7MM during the upcoming offseason. The 30-year-old is in the midst of one of his worst offensive seasons, having batted .241/.300/.401 in 438 plate appearances. Alvarez, a former Pirate, took a $5.75MM deal with the O’s last March and has since slashed .248/.319/.506 with 22 homers in 367 PAs. Those are right in line with the numbers the designated hitter/corner infielder regularly produced in Pittsburgh. Right fielder/DH Jose Bautista’s underwhelming showing this year could lead him to accept a qualifying offer from the Blue Jays, writes Cafardo. After terrorizing opposing pitchers from 2010-15, Bautista has hit a disappointing .233/.360/.449 with 20 homers in 484 PAs. The soon-to-be 36-year-old has also been on the disabled list multiple times. In taking a QO from the Jays, he’d have a chance to rebuild his value and make a stronger case for a high-paying deal after the 2017 season, Cafardo argues. However, that would represent a far fall for a player who reportedly wanted a long-term pact worth $30MM-plus per year last offseason. The Phillies and Jeremy Hellickson have mutual interest in keeping the right-hander in Philadelphia, but he might first explore the open market before making a commitment, per Cafardo. With so few capable starters primed to hit free agency in the coming months, it won’t be surprising if Hellickson does listen to other teams’ offers. Hellickson, who will turn 30 in April, has rebounded from three straight subpar seasons to post a 3.78 ERA, 7.27 K/9, 2.18 BB/9 and 14.4 percent infield pop-up rate across 185 2/3 innings this season. Outfielder Josh Reddick’s less-than-stellar output with the Dodgers could cost him a significant amount of money in free agency, Cafardo contends. Reddick, whom LA acquired from Oakland before the Aug. 1 non-waiver trade deadline, has batted .241/.291/.298 with one home run in 152 PAs as a Dodger. The 29-year-old was far better as a member of the Athletics, with whom he hit .257/.321/.440 and combined for 14.2 fWAR in 2,364 PAs from 2012-16. As of June, Reddick wanted in the neighborhood of $15MM per annum on a four-plus-year deal, Susan Slusser of the San Francisco Chronicle reported. The A’s were offering well below that – in the three-year, $30MM range – which undoubtedly helped lead to the end of Reddick’s tenure with them. Left-hander Rich Hill, whom the Dodgers acquired from Oakland on Monday, would’ve preferred to go to either the Orioles or Red Sox at the non-waiver trade deadline, reports Cafardo. Those are two of the journeyman’s many former major league employers, and the 36-year-old Massachusetts native revived his career with Boston in 2015. The Orioles were in on Hill prior to the deadline and are likely to target him this winter if he hits free agency as arguably the premier starter in a weak market. 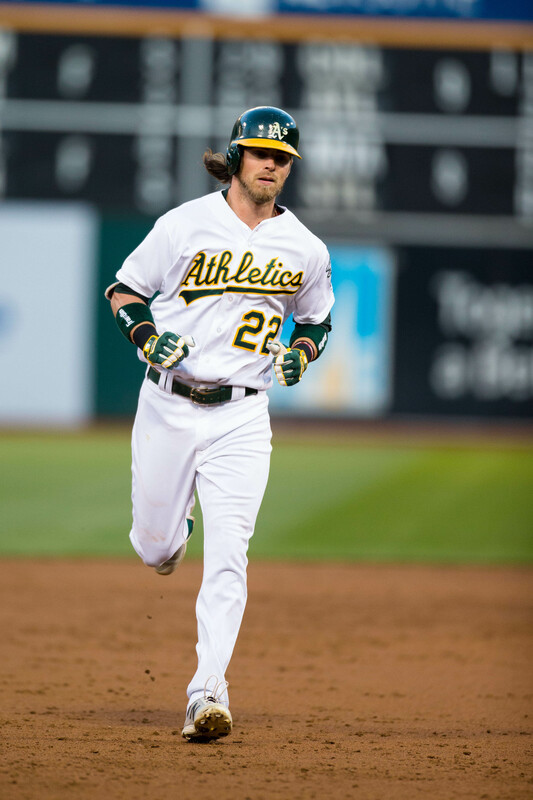 Right fielder Josh Reddick, who joined Hill in going from the Athletics to the Dodgers at the deadline, is a fit in Los Angeles’ clubhouse and could sign a long-term deal to stay there, per Cafardo. Reddick – 30 next February – figures to be one of the top free agents on the market if he makes it there and might be in line for a four- or five-year deal, MLBTR’s Tim Dierkes wrote earlier this week. Yasiel Puig’s future as a Dodger is up in the air, and they’ve gotten underwhelming production from the rest of their outfielders (Joc Pederson aside), so it would seemingly make sense for the club to retain the steady Reddick. That’s assuming he performs well in LA, of course, which hasn’t been the case so far. In a minuscule sample size of 16 post-deadline at-bats, Reddick has collected only one hit. Before the Red Sox picked up reliever Brad Ziegler from Arizona on July 9, they were looking at White Sox closer David Robertson as a possible trade target, Cafardo writes. For now, Robertson remains in Chicago. The 31-year-old still has $28.5MM remaining on his contract and hasn’t been as effective this season as he was previously, having compiled a 3.97 ERA, 10.13 K/9 and 4.57 BB/9 in 45 1/3 innings. The Red Sox aggressively tried to acquire right fielder and designated hitter Carlos Beltran before the archrival Yankees traded him to the Rangers, according to Cafardo, who adds that a deal was close enough that Boston expected it to happen. Of course, after failing to land Beltran, the Sox promoted elite left field prospect Andrew Benintendi to the majors. 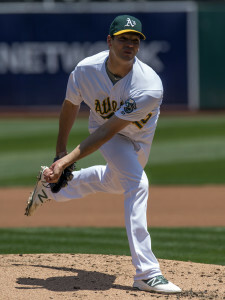 The Dodges and A’s have officially struck a deal that will deliver Josh Reddick and Rich Hill to Los Angeles. In return, per reports, Oakland will pick up an appealing trio of young righties: Frankie Montas, Grant Holmes, and Jharel Cotton. With the move, the Dodgers have filled two evident needs even as they seek to overtake the Giants in a tightly-contested NL West. With Andre Ethier a question mark and Clayton Kershaw still facing his own uncertainties, now was the time to strike. The move may also help free the team to deal away talented but struggling outfielder Yasiel Puig, who has increasingly seen his name churn through the rumor mill. Los Angeles chose to fill its desire for a left-handed-hitting corner outfielder and an added starter in a single stroke, and did it without paying for future years of control. Both Reddick and Hill are set to reach the open market after the season — which they’ll now do without any threat of a qualifying offer hanging over their heads. Neither is an expensive piece, but the Dodgers will presumably take over the rest of the contracts; Reddick is playing on a $6.575MM deal, while Hill’s free agent contract promises him $6MM for the season, leaving just over $4.3MM combined on the tab. There’s an argument to be made that the Dodgers pulled in the two best pure rental pieces on the market. Reddick, 29, has improved upon already-strong results in the prior two seasons, running out a .296/.368/.449 slash over 272 plate appearances on the year. Though he doesn’t generally deliver huge counting stats, Reddick is usually good for double-digit home run and (occasionally) steal tallies, and is playing at that kind of pace again this year. Reddick did miss time earlier in the year with a broken thumb, though that was suffered on a hit-by-pitch and he seems fully recovered. It should be noted that, while Reddick comes with a solid pedigree with the glove, defensive metrics aren’t as enamored of his work in right as they once were. As for Hill, the injury concerns are slightly more present. He recovered from a groin strain, but is currently on the disabled list after a finger blister failed to recover as hoped. It is believed to be a minor issue, but Hill isn’t immediately available for the Dodgers — which possibly leaves added space for the team to chase another arm. There were indications late yesterday that the A’s could be looking into a late-breaking extension with Hill to avoid trading him at a reduced rate. Instead, the team managed to create a package arrangement to maximize his value. In addition to the minor injury questions at present, Hill has dealt with durability issues in the past. And most notably, he hadn’t been a useful pitcher for quite some time before his sudden breakout at the tail end of 2015 with the Red Sox. Oakland clearly made out well on the calculated gamble to sign Hill over the winter. Over his 76 frames on the year, he carries a 2.25 ERA with 10.7 K/9 and 3.3 BB/9 to go with a 50% groundball rate. Hill has allowed just 55 hits and two home runs in that span. He has obviously been quite difficult to square up despite relying most heavily on just two pitches — a four-seam fastball and curve, with a slider and change also mixed in. That duo didn’t come cheaply, of course. Montas, Holmes, and Cotton have all been considered quality young hurlers for quite some time. While it’s not entirely clear that any or all will stick as starters in the majors, they possess quality arms and gobs of control that should serve Oakland for many years to come. As things stand at present, Holmes probably rates at the top of the group at present. A first-round pick from the 2014 draft, Holmes has shown some swing and miss stuff and currently owns a 4.02 ERA with 8.5 K/9 vs. 3.7 BB/9 over 105 1/3 frames at the High-A level. He sits within the recent mid-season top-100 prospect rankings of Baseball America (#60) and MLB.com (#82). Montas may well be rated even higher — BA has him at 82nd — but he has been limited by a rib problem for much of the season. He came over in the three-team Todd Frazier deal over the winter after briefly reaching the majors last year, and was impressive in his 16 frames on the year, but remains a bit of an injury question. As for Cotton, it had seemed he was knocking on the door after streaking up the ranks of the Dodgers’ farm last year. But he has put up only a 4.90 ERA in his first full run at Triple-A. Still, he has racked up 11.0 K/9 against 3.0 BB/9 while allowing only 80 hits. Trouble is, 17 of those have gone for homers in the hitter-friendly PCL, but there’s good reason to believe that Cotton will be a major league contributor. Ken Rosenthal of FOX Sports reported the swap via Twitter. Rosenthal (Twitter links) and Jeff Passan of Yahoo Sports (in a tweet) detailed the prospect package. The Rangers are still pushing hardest for White Sox ace Chris Sale, Bob Nightengale of USA Today reports (Twitter links). Chicago is holding out with a high asking price, per the report, demanding Nomar Mazara and Joey Gallo as headliners. Presumably, the club is looking for more to go with that pair, though the full demands from the Sox remain unknown. Texas will obviously be hesitant to part with Mazara, in particular, since he’s not only an important future piece but has played a notable role on this year’s roster. On the other hand, he seems like a perfectly reasonable request; there simply aren’t very many pitchers out there that combine Sale’s track record and contract situation. The Athletics and Dodgers have discussed trade scenarios involving both lefty Rich Hill and outfielder Josh Reddick, per ESPN.com’s Buster Olney. It seems that the sides have batted around concepts involving both players in a single swap, as well as scenarios involving each player separately. It’s not hard to see the interest here from a Los Angeles organization that not only desires to add a starter and a left-handed-hitting outfielder, but has exhibited more injury risk tolerance in acquiring starting pitching than any team in baseball. Other teams may be looking at Mariners righty Taijuan Walker, but Seattle GM Jerry Dipoto says that he’s not interested in offers, Ken Rosenthal of FOX Sports tweets. “We’re not currently discussing Taijuan with anybody,” said Dipoto. “He’ll stay right where he is.” Dipoto says that the same holds with regard to lefty James Paxton, as SB Nation’s Chris Cotillo tweets. At this point, the Twins would need to be “overwhelmed” to deal away righty Ervin Santana, according to Jon Heyman of Fan Rag (via Twitter). Minnesota is still said to be open to dealing relief assets, but apparently is rather committed to keeping the veteran righty in its rotation over the final two years of his contract. While the Blue Jays’ tough call on whether to keep Aaron Sanchez in the rotation, or instead to move him to the pen to limit his innings, has long been building as an important decision. ESPN.com’s Jayson Stark takes a look at the subject with the trade deadline seemingly forcing the issue. While GM Ross Atkins says the club won’t let Sanchez’s status impact its plans, and stresses that the organization is looking at far more than a simple innings tally, Stark reports that rival executives see Toronto as an aggressive pursuer of starters. He suggests that Jeremy Hellickson could make a nice target as a back-of-the-staff rental that shouldn’t cost too much. Before striking a deal this morning for two starters, the Marlins tried to work something out with the pitching-rich Rays, according to multiple reports. Per Stark (Twitter links), the sides weren’t seeing eye to eye on Miami’s interest in Jake Odorizzi and Matt Moore. One source suggests that Tampa Bay wanted Christian Yelich and J.T. Realmuto — which would obviously be a non-starter — while another suggests it never got that specific, with Tampa Bay simply not interested in the Marlins’ farm. Braves righty Julio Teheran exited tonight’s start with what is being described as right lat tightness, as MLB.com’s Mark Bowman writes. Teheran had been throwing well, once again, before the issue arose. We’ve already seen plenty of cold water thrown on the idea that he’ll be traded, and this injury — even if it’s minor — could help seal the deal (or, rather, the lack thereof). It has largely been taken for granted that the Reds will trade Jay Bruce this summer. But ESPN.com’s Buster Olney tweets that some rival executives are finding it difficult to gain any traction in talks with the Cincinnati front office. Others, though, still see a deal as likely. Some of the same teams pursuing Bruce are in on Athletics outfielder Josh Reddick, MLB.com’s Jon Morosi notes on Twitter. That’s not surprising — both are left-handed-hitting corner outfielders, albeit rather different ones — and it’s certainly possible to imagine the interplay between their respective markets having an impact on how trade talks progress. The Cubs, Dodgers, and Indians all have some level of interest in both players, per the report. As for the Athletics and Reddick, there are other teams in the mix, too. Per John Hickey of the Bay Area News Group, the Royals and Giants are also taking a look. Of course, we also heard today (subsequent to Hickey’s report) that Kansas City may instead head in a different direction. We’ve heard plenty of chatter on Melvin Upton tonight, after Olney suggested earlier today that he could be a fit for the Giants. Whether or not Upton is the target — or, as just noted, Reddick — it seems that San Francisco is once again leaning toward adding another outfielder. Hunter Pence’s return hasn’t been quite as smooth as might’ve been hoped, and the remaining primary mix — Angel Pagan, Denard Span, and Gregor Blanco — hasn’t been terribly productive, though Pagan has had a solid bounceback campaign. On the other hand, both Jarrett Parker and Mac Williamson have hit at better than league-average rates when they’ve been up, so the club isn’t exactly hurting for options. Evan Grant of the Dallas Morning News provides a useful round-up of the Rangers’ efforts to bolster a scuffling rotation. In addition to opening talks with the Rays and White Sox, as has been covered extensively, the team is looking at a variety of other possibilities. Andrew Cashner of the Padres is one player that the Rangers have discussed, as are Mariners lefties James Paxton and Wade Miley. It seems that all variety of options continue to be on the table, as all of the pitchers covered in the report constitute quite different assets. GM Jon Daniels suggests that, while he’d prefer to move quickly toward a deal, the odds are that it’ll come down to the deadline. As the White Sox weigh what (if any) players to sell, the club won’t have two short-term assets on the shelf. As Colleen Kane of the Chicago Tribune reports, both center fielder Austin Jackson and catcher Alex Avila — each of whom was signed to a one-year deal over the winter — are still a ways away from returning from their respective injuries. The Rangers aren’t optimistic that they’ll land one of the Rays’ controllable starting pitchers, writes FOX’s Ken Rosenthal in his latest notes column. The Rays continue to focus on Jurickson Profar, who could fill a void at shortstop, but the Rangers like the idea of Profar playing all four infield positions and seeing time for them in the outfield next year as well. The Rangers may be willing to budge on Profar if it meant Chris Archer, but Jake Odorizzi and Matt Moore are seemingly held in lesser regard. The Rays are also receiving interest in their starters from non-contending clubs that are aiming to contend within the next couple of seasons. That gives Tampa Bay further leverage in talks, as they’re not limited to restocking their farms with only prospects from clubs that are currently in contention. The Astros, too, are eyeing the limited number of controllable arms that are available, and the division rivalry aspect could play into Tampa Bay’s favor if both Texas and Houston set their sights on the same Rays arm. Alternatively, each of their starters has so much club control remaining that the Rays could just wait until the offseason and market their starters as teams miss out on the few quality free agents that are available. The Cubs are still seeking a top-tier left-handed reliever even after landing Mike Montgomery, but they’re also eyeing Athletics outfielder Josh Reddick, as previously reported by Jon Morosi. Rosenthal writes that some teams may eventually concede that the pitching help they covet isn’t going to be available at a price they like and could simply upgrade the offense, thinking that adding value is adding value regardless of position. Reddick, he notes, would be an upgrade for the Cubs over Chris Coghlan, and deepening a roster in any fashion bodes well for the playoffs. The Astros are looking for left-handed relief help and asked the Braves about Hunter Cervenka as a fallback option if their primary, more established targets don’t pan out. Fellow left-hander Ian Krol has gotten some looks for the Braves as well, Rosenthal notes, though I’d personally imagine that Krol would have a higher price tag, as Cervenka has walked nearly six batters per nine innings this season and has limited big league experience. Athletics lefty Rich Hill still isn’t ready to throw from a mound due to a blister on his pitching hand, manager Bob Melvin told reporters including Comcast’s Joe Stiglich (via Twitter). Though he is keeping his arm in shape by throwing with the blister area covered, the overall progress doesn’t seem quite as advanced as might be hoped. At this point, Oakland just has to hope that Hill can fully recover in time to make one more start before the trade deadline and show that he’s past the issue. Outfielder Josh Reddick expressed frustration with the fact that he and the Athletics haven’t engaged in recent extension talks, Stiglich also tweets. Reddick called the situation “kind of disheartening,” presumably referring to the fact that he’s likely to be traded with no new deal in place. Player and team have long been said to be engaging in dialogue over a new deal, but it now seems that the time has passed for an agreement. Astros manager A.J. Hinch said appearance yesterday on MLB Network Radio on Sirius XM (Twitter link) that he expects just-signed third baseman Yulieski Gurriel to be ready for the majors in relatively short order. “We want his bat in the line-up, we want him to get acclimated as much as possible,” said Hinch. “That’s probably 2 or 3 weeks.” In the meantime, outfielder Preston Tucker has been called back to the big league club to take the place of the optioned A.J. Reed. The Cubs are showing some interest in Athletics right fielder Josh Reddick, tweets Jon Morosi of FOX Sports and MLB.com. Cubs president of baseball operations Theo Epstein drafted Reddick while serving as GM of the Red Sox, and the two sides were loosely linked by Morosi earlier this season. Of course, outfield isn’t necessarily a primary need for the Cubs, who have been more tied to bullpen help of late. However, the Cubs did cross one item off their wishlist with yesterday’s pickup of Mike Montgomery, and the Chicago front office/field staff clearly place a high value on harboring a deep roster that is tailored to allowing manager Joe Maddon to play matchups. Chicago is currently deploying Kris Bryant, Jason Heyward and Willson Contreras in the outfield with regularity, although Dexter Fowler will soon return, which could push Contreras back behind the plate and Bryant back to the hot corner more frequently. Reddick has long handled righties better than lefties and would provide a solid defensive option in the outfield. It’s a similar skill-set to that of Jason Heyward, though Reddick’s been the more productive of the two this season, slashing .301/.380/.445 in a season that’s been shortened by a fractured thumb. Reddick initially slumped upon activation from the DL, but he’s hit well more recently. The White Sox are now at least considering changing course to act as sellers this summer, reports Jon Heyman of FanRag Sports. In particular, David Robertson is generating quite a few calls for the Sox, who have lost five of their past seven games and dropped below the .500 mark. Robertson is owed $29.45MM through the end of his contract in 2018, so he comes with considerable financial considerations. Then again, he’s also pitched quite well outside of a pair of disastrous meltdowns that saw him yield four and six earned runs this season, and the demand for impact relievers is high. The ChiSox are also getting quite a few calls on outfielder Adam Eaton, says Heyman, though he’s controllable at a much more affordable rate and for considerably longer than Robertson. Eaton is owed just $21MM through the end of the 2019 campaign, and his contract includes club options for the 2020 and 2021 seasons that are respectively valued at $9.5MM and $10.5MM. For a player with his offensive profile and defensive wizardry in the corner outfield, that’s an enormously valuable deal that would require a huge haul for the White Sox to surrender. While most who eye the White Sox will be hopeful that the club will part with ace Chris Sale or No. 2 starter Jose Quintana (who would be the top pitcher on many teams), Morosi tweeted this morning that there’s still great doubt within the industry that the Sox would part with either left-hander. The Dodgers, he notes have the prospects to make an overwhelming offer. I should point out that the Rangers do as well, with Evan Grant of the Dallas Morning News recently speculating that they could be a fit for Quintana if the Sox decide to sell. Morosi tweets that the White Sox will have opportunities to move lefty reliever Zach Duke, who is controlled through 2017 and earning $5.5MM next year. That’s probably an understatement, as Duke boasts a 2.97 ERA with 10.5 K/9, 3.8 BB/9 and a 58.1 percent ground-ball rate this season. If the Sox do sell off some veteran pieces, I’d wager that they could get a nice piece for Duke even if they understandably hang onto more core pieces like Sale, Quintana and Eaton. The latest 10 Degrees column from Jeff Passan of Yahoo Sports is rife with trade talks as the non-waiver deadline now sits just two weeks away. Passan begins by dedicating further ink to the oft-discussed Kyle Schwarber, writing that no player in baseball is more appealing to Yankees GM Brian Cashman, but the Cubs remain steadfast in their desire to hold onto him. Passan writes that perhaps if the Yankees were willing to part with both Andrew Miller and Aroldis Chapman, the Cubs could waver, but the commonly repeated refrain at this point seems to be that Chicago simply isn’t interested in moving Schwarber. The Yankees “are going to trade Chapman” within the next two weeks, Passan definitively notes on more than one occasion. While New York won’t fully tear down the roster, rental players like Chapman and Carlos Beltran figure to draw plenty of attention. Beltran’s poor defense makes him a tough sell to an NL club, but an AL club with a need at DH and some occasional outfield at-bats would significantly boost its lineup by adding Beltran to the mix. 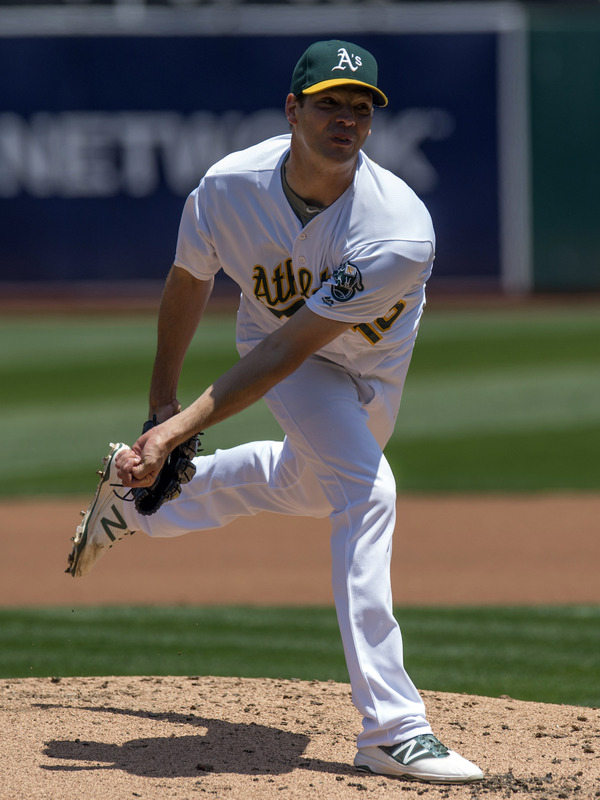 The Red Sox, Rangers, Orioles, Blue Jays and Dodgers are all expected to be in the bidding for Athletics ace Rich Hill, as are the Tigers, who have been calling around and asking about rotation upgrades, per Passan. The A’s, however, haven’t been willing to hold any meaningful talks about Sonny Gray, whose stock is at a low point right now in the wake of some highly uncharacteristic struggles. Passan also notes that Josh Reddick is “very unlikely” to reach an extension with Oakland at this juncture, though if the A’s were really only open to a three-year deal even as recently as July 9, I’d contend that it was never really a possibility in the first place. A match between the Rangers and Rays centering around controllable pitching is readily apparent, and some sources have expressed to Passan that they believe the Rangers are willing to part with prized slugger Joey Gallo in order to land a long-term rotation piece. Gallo, of course, is arguably the most powerful prospect in all of Minor League Baseball but doesn’t have a clear long-term fit on the Rangers’ roster now that Adrian Beltre has been extended. He could theoretically be shifted across the diamond to first base or transition to the outfield, though, if the Rangers do hold onto him, so it’s not as though he has nowhere to play on the club in the near future. Clubs that were pursuing Brad Ziegler were stunned by what the D-backs accepted in exchange for him, according to both Passan and Peter Gammons of the MLB Network (links to Twitter). Passan writes that the Indians, Blue Jays and Cubs all expressed interest in Ziegler and were all met with asking prices of Top 100-type or even Top 50-type prospects in return. Arizona, however, acquired a pair of prospects that weren’t nearly that well regarded in return. One NL GM who spoke to Gammons wondered if Dave Dombrowski’s close relationship with Tony La Russa impacted the negotiations. Scouts have raved about Matt Shoemaker since his return from the minors, with one telling Passan that his splitter is the best he’s seen this season. The Angels don’t want to go into a full rebuild and are loath to move controllable pitching, but Shoemaker would draw strong interest. The Reds don’t want to trade Anthony DeSclafani, but the dearth of quality arms on this summer’s trade market and on the upcoming free agent market gives Cincinnati a chance to cash in on what could potentially be a big chip. MLBTR’s Jeff Todd noted as much when examining the trade market for starting pitchers last week. The Indians, Rangers, Nationals, Orioles, Giants and Dodgers have all at least checked in on Reds outfielder Jay Bruce. Passan writes that Cleveland could be the favorite, which seems curious in light of Tyler Naquin’s recent breakout and reports that Michael Brantley is making better progress than expected. If such reports about Brantley are more of a smokescreen from the Cleveland front office than a genuine representation of the star outfielder’s progress, the interest in Bruce would make more sense. If not, it’s tough to see where Bruce would fit in with Naquin, Brantley, Rajai Davis and Jose Ramirez all representing outfield options (to say nothing of Lonnie Chisenhall, who is hitting well but not exactly replicating last season’s eye-popping defensive metrics). Cleveland has been more heavily tied to bullpen help of late, and, from my vantage point, had a greater need behind the plate than in the outfield even before the weekend injury to Yan Gomes.